Harley Street Care is a leading domiciliary care agency for those seeking quality support at home. Two years ago, in response to an industry-wide survey of care staff which revealed widespread poor pay, lack of training and sub-standard working practices, UNISON announced plans to roll out an Ethical Care Charter. Despite this, the sector has continued to suffer from negative press which has made national headlines, highlighting the ongoing mistreatment of workers by many care agencies, which in turn leads to the neglect (and in some cases abuse) of the very people the social care industry seeks to protect and support. Here at Harley Street Care we strongly believe that it is possible to offer a first class level of service to clients whilst also looking after the welfare of our staff. With this in mind, our approach is to create an environment for our staff that promotes career development and training, which in turn encourages staff retention, allowing us to offer consistency in the care we provide. The Ethical Care Charter reflects the views we have on our industry, and we are pleased to say we are making great progress towards becoming fully compliant. For us, it is vital that your loved one is treated with the meticulous care and dignity they deserve. 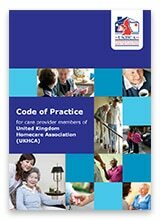 As a member of the United Kingdom Home Care Association, we adhere to their Code of Practice as well as meeting and exceeding the standards of the Care Quality Commission. All of our care plans are developed in close consultation with you and your family. Our philosophy is about maximising client independence, whilst also paying painstaking attention to their physical and emotional welfare. We have a wealth of experience in working with a wide array of patients, and take every care to ensure we respect the differing social and cultural and needs of each individual we work with.